Radio broadcasting was not always used for everyday purposes. At one time, it was forbidden by law. The airwaves were governed by the Department of Commerce, and use of wireless transmission was banned except for military use and two-way communication; the thinking was that newspapers were sufficient to keep people informed. Despite this, many innovators found ways to broadcast music, news, and literary readings. In the 1920s, the Department of Commerce began issuing commercial licenses, and NYC Plant and Structures Commissioner Grover Whalen proposed the idea of a city-owned and -operated radio station in 1922. The airwaves exploded with music, news, dramatic readings and performances, and sporting events, and control of radio frequencies grew very competitive. Stations were not limited to specific frequencies and would often try to broadcast over one another. As advertisers realized the potential of the new medium, the airwaves grew so competitive that the government had to intervene. The Federal Radio Commission was created to assign frequencies and oversee regulations emerging from this new technology. Familiar new stations, including CBS and NBC, were born from this conflict as monopolies were loosened by the new institution. New technologies (also called "experimental radio") were also implemented to boost transmission and provide clearer sound to receivers. NYC was the first testing ground for both the regulations and the new broadcasting innovations, and many national broadcasters still have their headquarters in that city today. In 1934, the Federal Radio Commission became the Federal Communications Commission, possibly in anticipation of future mass communication technologies. 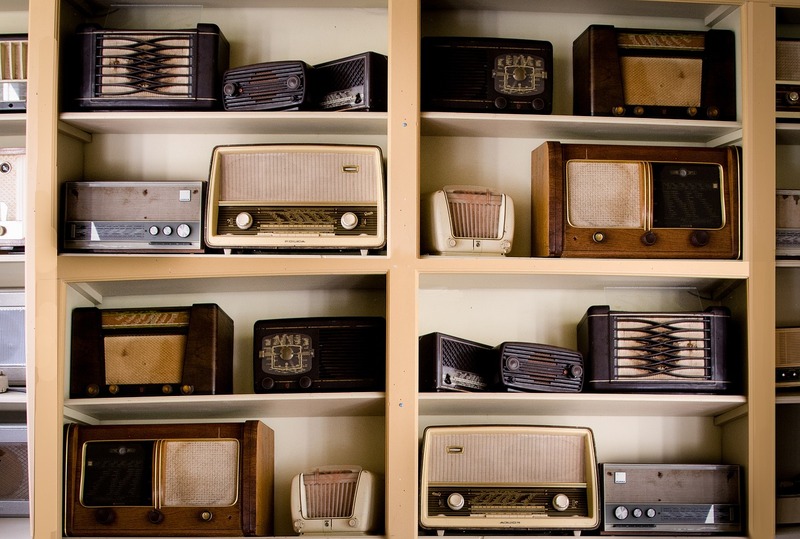 Radio has had a central role to play in many pivotal historic moments. Our first television journalists, such as Edward R. Morrow (after whom top broadcast journalism awards are named), were radio reporters long before they could be seen on television. During the Great Depression, President Franklin Delano Roosevelt used the encompassing power of broadcasting to reassure the nation in his Fireside Chats. A few years later, during World War II, the radio was a vital lifeline for news of the overseas conflict. Public radio, sponsored by government endowments and available to everyone, was also commissioned during this time. Radio provided many people with their news and entertainment well after television became popular, especially in rural areas that relied on broadcasts from NYC and other large cities to be aware of events outside of their own communities. Television changed a lot for the radio community, as dramatic programs moved to the visual medium. As actors and shows left for television, a new kind of music was emerging from the influence of jazz and blues. In a time when radio could have become obsolete, rock and roll revived it. Celebrity disc jockeys, many from NYC, became national stars, and playing recorded music became the focus of many broadcasts. At around the same time, FM frequencies capitalized on the AM stations' refusal to play the new music and soared in popularity. For decades, the standard was that music was on FM and AM broadcast sports and news. Another shift came in the late 1990s with the advent of talk radio, where hosts made political and social commentary. Today, satellite radio has joined other types of radio communication, creating another market for consumers. WNYC was the first city-owned and -operated radio station, and it began broadcasting in 1924. Many of our most famous stations, including the "Big Three" networks of ABC, CBS, and NBC, originated in NYC and still have headquarters there. CBS and NBC were established in 1926-27 by collecting numerous stations under their networks; ABC was established in 1944 from a branch of NBC. NBC made some of the country's first national broadcasts, including the 1927 Rose Bowl. CBS aired Orson Welles's famous War of the Worlds broadcast in 1938, which caused many people to believe that Martians had invaded New Jersey. The surrender of the Japanese in 1945 was announced on the radio, as was the Hindenburg disaster, the resolution of the Cuban Missile Crisis, and Martin Luther King Jr.'s "I Have a Dream" speech. Serial shows, sponsored by advertisers, included Green Hornet, Gunsmoke, and Dragnet, titles that later moved to television. From the beginning, amateur (ham) radio has been on the cutting edge of radio technology and regulation. The first ham radio operators built their own radios based on entries in book and magazines discussing theories and practical applications. So many amateurs began experimenting that the radio waves became overloaded. Regulations started as early as 1906, but the sinking of the Titanic in 1912 prompted real reform, as radio traffic played a role in the tragedy. World War I saw the Navy taking over the airwaves, but amateurs were put to work for the war effort. Ham radio operators saw the return of their broadcasting rights under new regulations and licensing requirements with the advent of public radio and the FRC. After World War II, when ham radio operators once again proved their value in emergency communications, licensing and regulation began to reflect their contribution to radio technology. This included bouncing radio waves from the moon and even ham radio in space. Amateur (ham) radio has also played an important role in spreading news and instructions during emergencies. Even today, in the era of the Internet and cellphones, radio can be and has been the difference between life and death. When other communications have failed, ham radio communications can facilitate survival in a disaster. With inspiration from the first radio broadcasters as early as 1906, ham radio clubs and organizations began to form over the next two decades. Frequencies assigned by the FRC and FCC changed over time as well, relegating ham radios to short waves only (thus the nickname "short-wave radio"). In 1961, the first ham radio satellite was launched into space, and 1983 saw the first ham operator, Owen Garriott, broadcasting from a space shuttle back to Earth. In recent history, the NYC area has twice seen the benefit of ham radio networks, in the aftermaths of 9/11 and Hurricane Sandy. Other natural disasters have provided ham radio operators all over the world with opportunities to save the day for ordinary people. Get a Ham Radio License!